Evan Turner reportedly agreed to a 4-year, $70 million contract with the Portland Trail Blazers on Friday. Two years ago he couldn’t have dreamed of such a big payday, but his time with the Celtics has changed the way he’s perceived around the league. After being selected second overall by the Sixers in the 2010 NBA Draft, the first four years of Evan Turner’s career were a disappointment. He spent three and a half seasons in Philadelphia and only shot over 42% for one of them. 54 games into the 2013-14 season, the Sixers sent ET and Lavoy Allen to the Indiana Pacers in exchange for Danny Granger. The Pacers were locked in a playoff race as the second best team in the East behind the Miami Heat and they were hoping that Turner would provide them with some more scoring off the bench. They were wrong. In his 27 games with the Pacers, Evan Turner showed that he just might not be cut out for the NBA. He played 21 minutes a game and averaged 7.1 points on 41% shooting. In July of 2014, Danny Ainge decided to give ET a chance to redeem himself and revive his once-promising career by signing him to a two-year, $6.7 million deal. With the help of Brad Stevens, the 25 year-old got right to work and did just that. In 2014-15 Turner was able to adjust his game and become more of a facilitator, averaging a career-high 5.5 assists and finding his niche with the Celtics’ first playoff team in two years. This past year was the best of ET’s career. Coming off the bench for the C’s, he shot a career-high 45.6% from the field and a career-high 82.7% from the free-throw line, averaging 10.5 points and 4.4 assists per game. When all was said and done, he was in the conversation for Sixth Man of the Year and had helped to lead the Celtics to their first winning record since 2011-12. 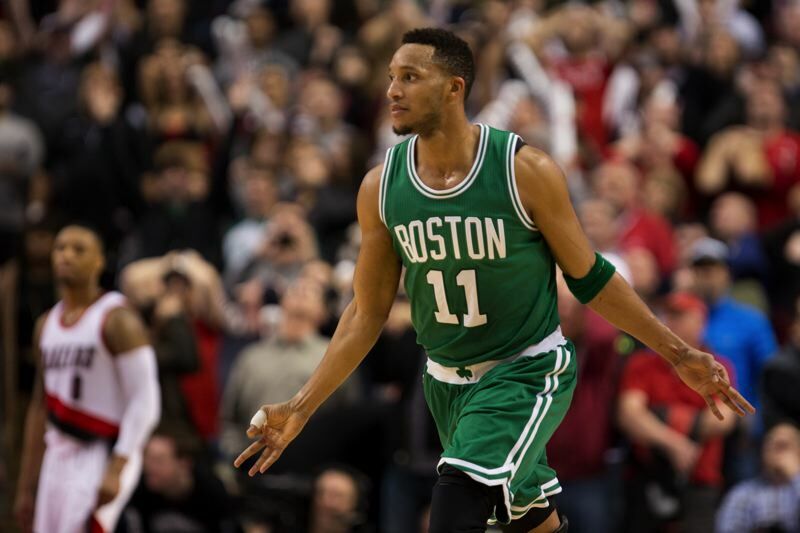 Evan Turner was the definition of a pleasant surprise for Boston. At times he was hard to watch. Especially when he would go into “Evan Turnover” mode and start firing passes off people’s feet or into the fifth row of stands. But for the most part he was effective. He was arguably the Celtics’ best clutch shooter over the last couple years, and he has one of the best spin moves I’ve ever seen when it’s under control. In the Celtics’ two biggest wins of the 2015-16 season, ET was right in the middle of the action. Evan also brought us a positive attitude and some pretty hilarious post-game interviews. All-in-all he was great for the team and the city of Boston, and we wish him the best in Portland.